One of the biggest resolutions that people make at the start of a brand-new year is to get into better shape. But when I heard that there were simple exercises I could do right from the comfort of my own home in order to get rid of the dreaded “muffin top,” I knew I’d be giving them a try. 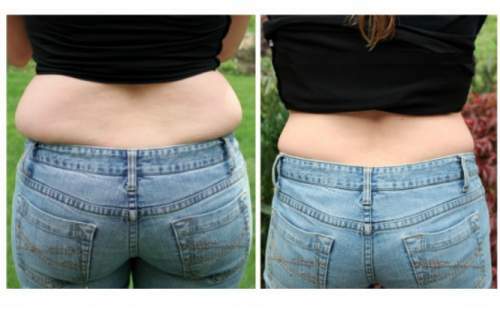 The muffin top is the excess weight that hangs over the waist of your jeans. It can feel so embarrassing, but the New Year is the perfect time to finally make it disappear! These exercises — coupled with some healthier eating choices — really can make a difference, just like with these exercises to fight a double chin. Watch the video below for this exclusive look at fighting muffin top, all with personal-trainer-recommended techniques! Previous post: How To Survive A Heart Attack When You’re Alone.. First Symptoms!